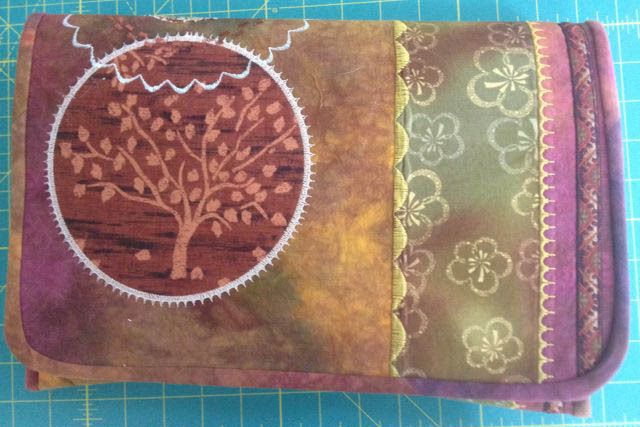 Explorations in Quilting and Life: Sketch Week! Last week I was out with my beautiful granddaughter and her wonderful parents. I treasure these visits and am gradually learning to adjust my creative work for 'weeks without sewing machine'. This time I did a lot of sketching. 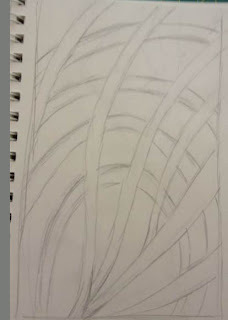 Alisa Burke had a great post earlier in July about sketching on the go. It struck a chord with me, possibly because I recently started following Dawn Giddings' blog. I met Dawn a few years back at a SAQA Conference and have been in awe of her sketching abilities ever since. She is posting her drawings regularly on her blog and that is enough to inspire anyone! For my trip out west, I took that handy portfolio that I had made earlier this year and had been sitting empty in my closet and filled it with some of the supplies that Alisa suggested. Every morning I took some time to sketch a bit and found myself really enjoying the process. 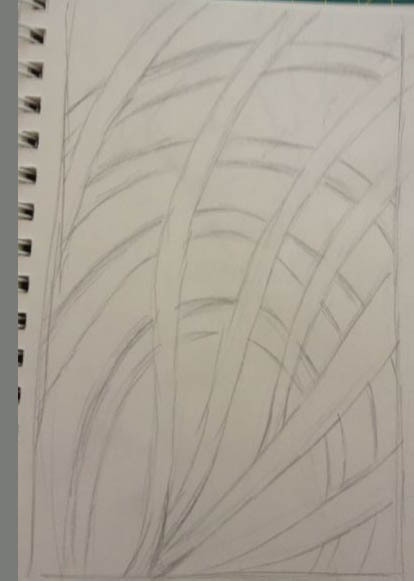 Typically I would start with a sketch of an object within sight and then elaborate. 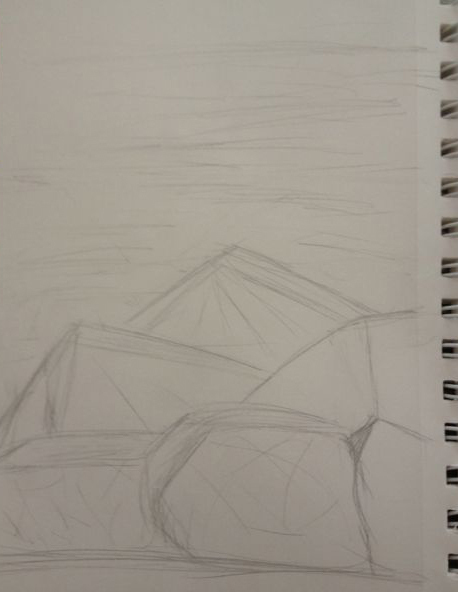 These were some rocks outside my window that evolved into the start of greater landscape. Would you believe this started as the side of a running shoe? Thank you for your kind words! I hope to inspire...drawing is such a part of my life and my therapy. I think anyone can learn to draw...it's mostly about learning to really see things. I love your sketches. I see possible fiber art...especially from the third one. Your granddaughter is adorable!! 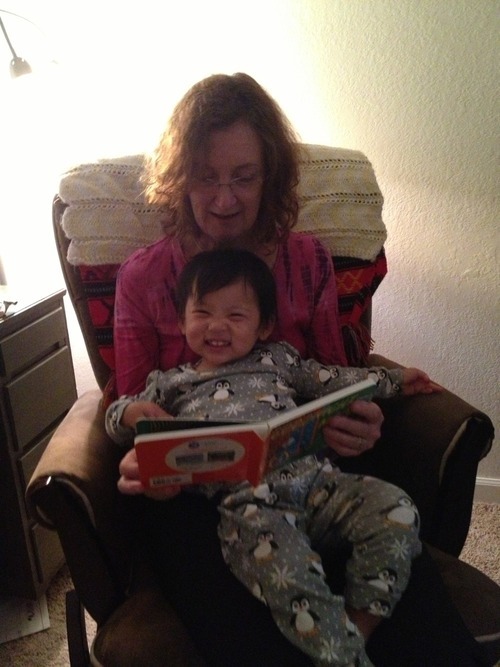 She is definitely enjoying Grandma Time. Good to hear from you; I've been wondering at which end of the continent you were! 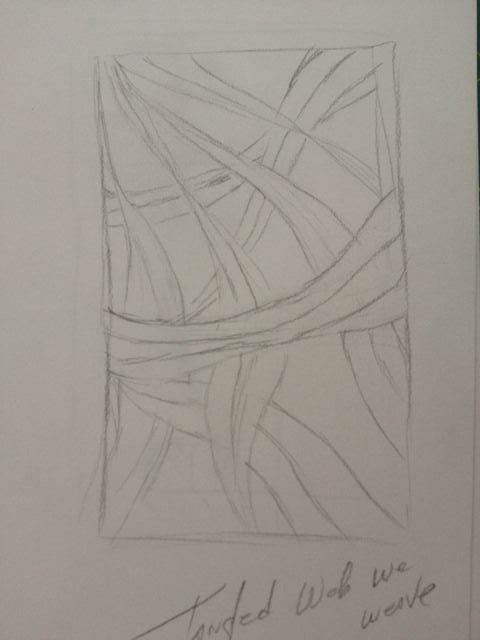 I, too, like to sketch in between fiber projects. I'm not that good at drawing but I enjoy doing it. 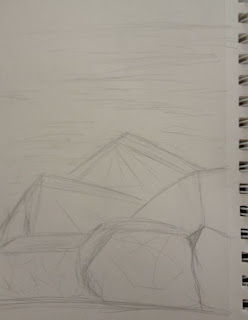 So I started "Sketch Out" in our town a few months ago. I started it by word of mouth. We just meet in a park once a week and we sketch the scenery, people, or an object we bring. If it rains, we meet at a coffee bar. I'm hoping the group will grow. Anyone is welcome and the point is to just draw and socialize and have fun. No rules, no dues, no officers. Little by little, I'm getting better at it. It's good for the soul. Sweetness of grand kids always overshadows drawing, unless of course I'm drawing them! Liked this post. 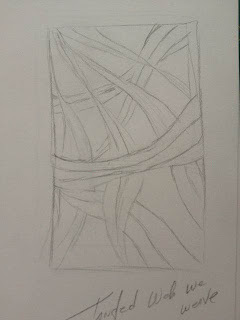 Two of us have started a new blog for sketchers called Somewhere To Sketch http://somewheretosketch.blogspot.com/. We are taking turns picking places around the world via Google Street maps to sketch and post. Come by and check us out. 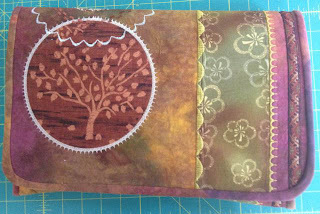 Something you draw there might well wind up in one of your art quilts! Enjoy your grand daughter and sketching...all wonderful!